Many of our most perplexing social problems are addressed by organisations. A significant number of these organisations fail to achieve success because of their organisational culture. The problem is that an organisation’s effectiveness is limited by its culture, yet effecting cultural change is often poorly understood and accomplished. 1. Culture precedes and informs governance. Culture provides the moral dimension and frames governance, providing both a raison d’etre and non-negotiable boundaries to the articulation of a direction for the entity, whether explicitly or implicitly. 2. A fundamental outcome of culture – guiding into the future – is the fundamental aspect of governance: to set direction. This is not always linear or simple, though: governance attempts to set a direction, then cultural norms react and respond to this attempt. At times, it does so in a positive and functional way, at times not. Governance then monitors and evaluates progress towards the direction set, making course corrections. The process is both iterative and dynamic. 3. 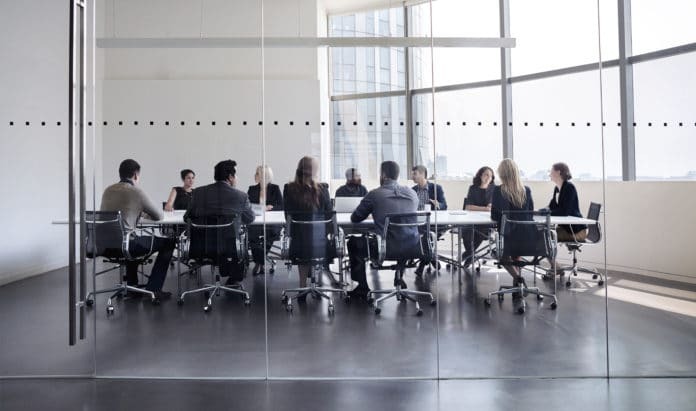 The board and/or leaders responsible for governance are themselves a micro-culture and the functional or dysfunctional features of boardroom culture play a pivotal role in governance effectiveness. At the top of the organisation, boardroom dynamics can be viewed as the interplay between three aspects of governance: governance structure, culture and behaviours. Here’s the good news! 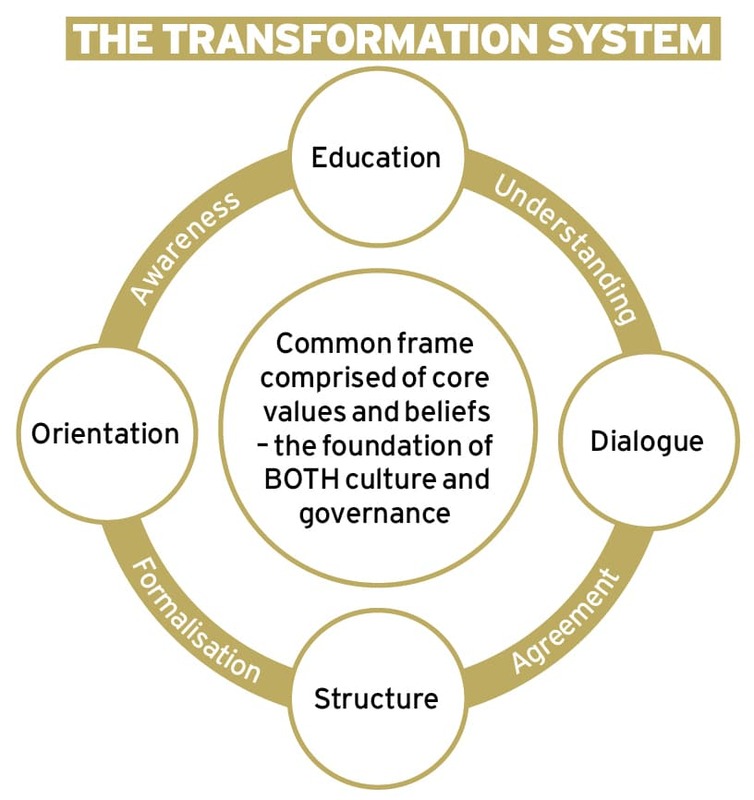 It is because of this all-encompassing interaction between governance and culture that governance can be used as a tool for transforming organisational culture (see chart above).The way we do this is to reframe governance by adopting a principle-based governance model and then employing certain tools designed to apply those principles in an organisational setting. Governance structures are custom-designed to guide, embed and support the principles and, therefore, the culture. 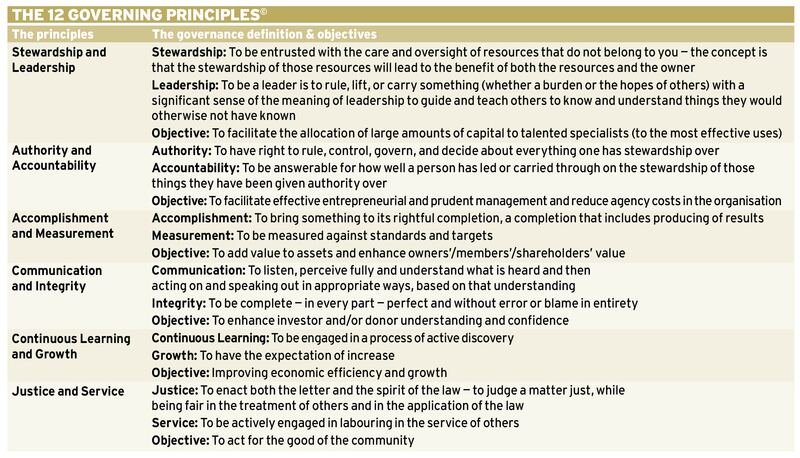 A strong governance system – the system by which organisations are directed and controlled – is grounded in 12 guiding principles. Together these principles provide a comprehensive system. All twelve principles (see below) are needed for the system to work as intended. Both governance and culture need to reflect all of them. Remove one and the system becomes flawed. Principles provide the model, but they are not simply a template; they are also the guidelines and tests along the way. More than just a place to start to articulate a corporate governance framework – they embed at every level. Principles are the beginning and the end – they are a mirror image of culture. Change is the one constant of culture. Culture is hard to change while at the same time it is dynamic and ever-changing. There is no single right governance model that fits all situations, because each of the dimensions on which governance models are arrayed involves a trade-off between two opposed outcomes – they are in tension with one another. The same holds true for the dimensions of culture. By applying the principles of governance: better informed choices can be made; the optimal balance can be found for each of the dimensions of governance and culture to deal with the current and emergent situation; alignment will be built throughout the organisation; and organisational culture will be transformed with positive affect. Shared experience is at the heart of culture formation, forming, embedding and sustaining it. Maintaining momentum by meeting together – sharing an experience – toward a common purpose is an essential element of cultural transformation. It is through shared experience that people create: a shared vision, mission and values; agreement on the non-negotiables that will be the foundation and guide for how people in the organisation relate together; a common understanding and frames – common lenses through which they view the organisation; and, importantly, results! 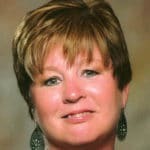 Debra Brown is the founder, President and CEO of Governance Solutions Inc. Since founding GSI in 1991, Debra has developed it into a full-service firm providing governance consulting, research, training and tools. Additionally, Debra is the founder and a lead faculty member of The Professional Director Certification Program™, a world class, online director education and certification program. Currently, Debra serves on major international boards, and has worked in corporate governance in North America and as far afield as Malaysia, Bahrain and Guatemala. She is an acknowledged and sought-after thought leader in corporate governance, authoring over two dozen major research articles published in Canada and internationally. Prior to forming Governance Solutions, Debra spent several years in the Canadian financial sector, working most recently as CEO.